TV Placement On CBC’s “Kim’s Convenience”!!! 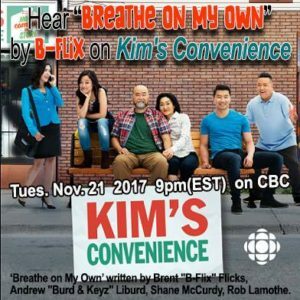 By admin on Oct 30, 2017 in Blog - Comments Off on TV Placement On CBC’s “Kim’s Convenience”!!! me believe that other artists facing my challenges might have an ‘easier’ path in the future. the 2016 Northern Power Summit! Thank you to Frances Jane Porter for the promo artwork!! !